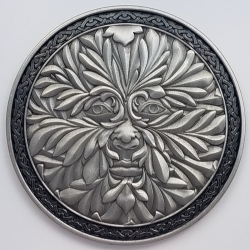 Appearing in artwork since at least the 11th century, the Greenman is typically portrayed as a human face surrounded by dense foliage. 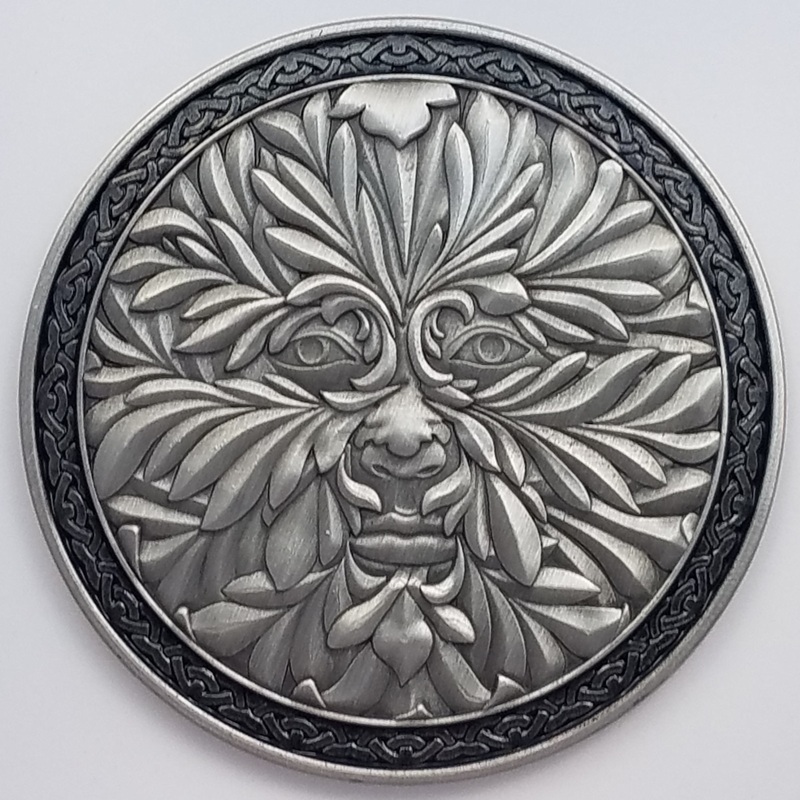 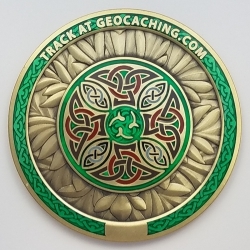 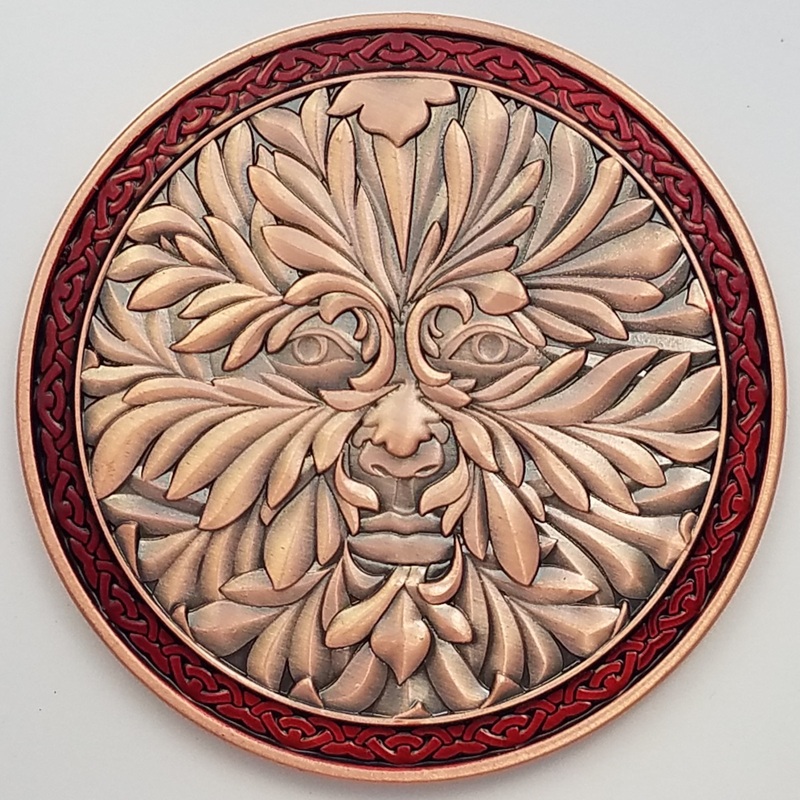 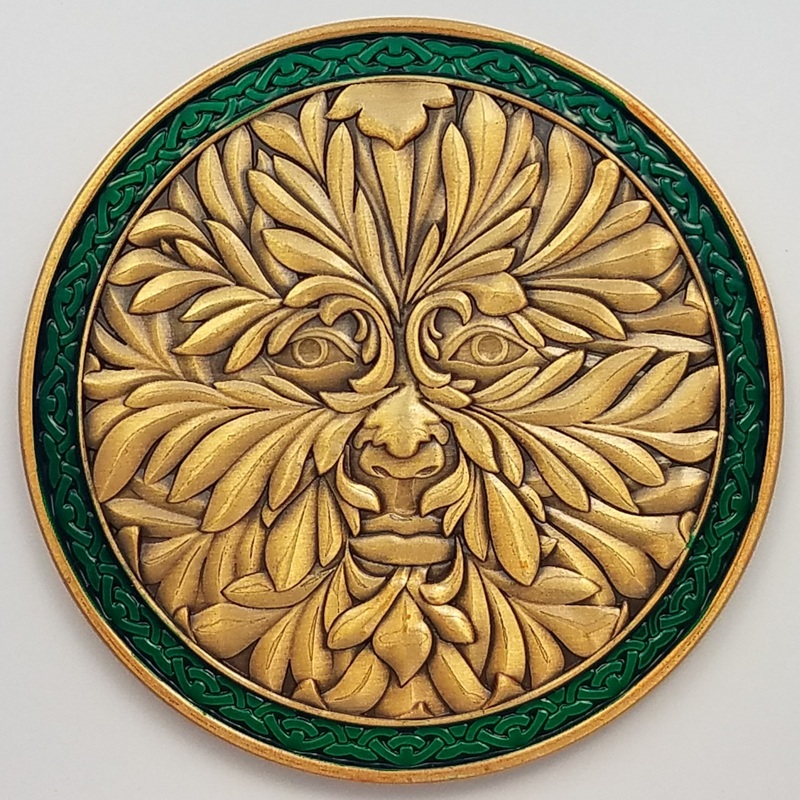 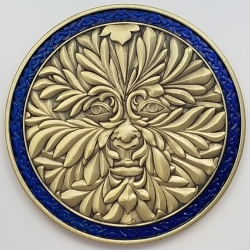 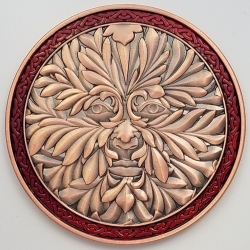 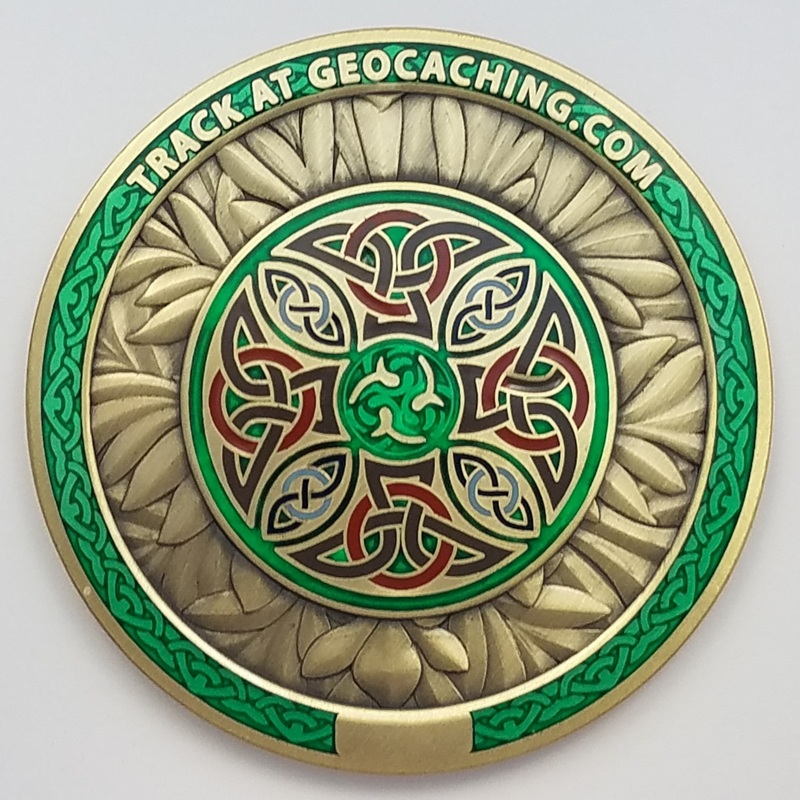 The Greenman that is the focus of this 2.125 inch (54mm) coin was drawn for us by our good friend, illustrator Tara Larsen Chang and is joined with traditional Celtic motifs. 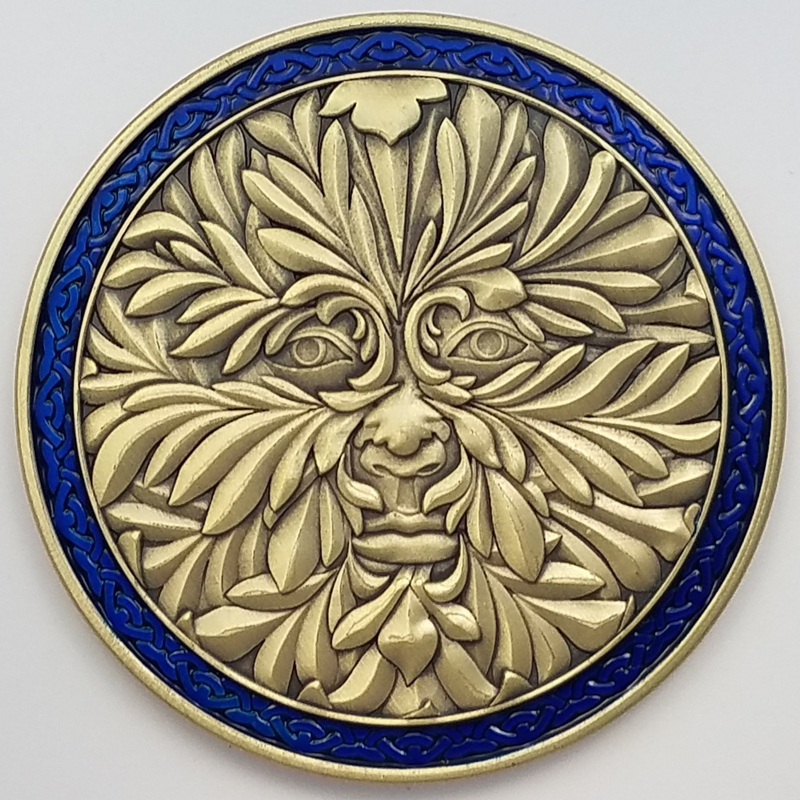 Copyright © 2019 Random Lunacy Productions – Powered by Customify.